The butler has never done it although there have been more than 60 plays composed by a couple of Wheeling men who have anchored a theatre company in the city of Wheeling for the past 20 years. Butch Maxwell and Bert Furioli have written and acted in productions that have parodied Shakespeare’s plays, traditional cartoons, Hollywood movies, holiday scenarios, and social situations, and soon a presidential election cycle will be in the spotlight when the 21st season begins later this month. 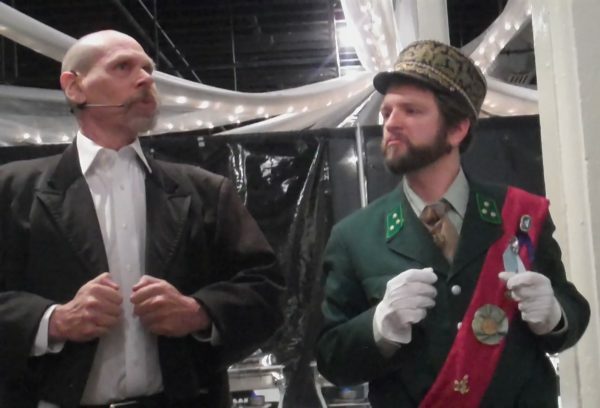 But before that debut, Mystery Theatre Unlimited will celebrate the 20th anniversary by resurrecting the very first production offered, “Speakeasy, Die Hard,” that premiered at the former Riverside Restaurant in downtown Wheeling. 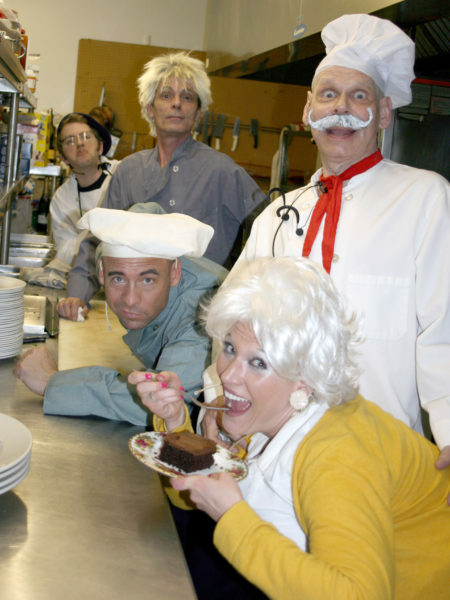 “Who Killed the Top Chef” was written and performed in 2012. “I’ve never done anything for two decades other than be a father,” Maxwell said. “When we first started this, we really thought it would last maybe a few months. A year, if we were lucky, and that’s because we thought it could just be a bar trend for a bit like Karaoke or something similar to that. Maxwell had nothing to do with the former Riverside hosting the very first performance, and that is because it was Wheeling resident Gregg Boury who was contacted by a national company with a franchise located in Pittsburgh. “Gregg, who is the son of the late George Boury, was the manager of the Riverside at the time, and he was contacted by someone in Connecticut that worked for a company that was doing these shows in a lot of different areas of the country,” Maxwell explained. “Mostly the company was going into spaghetti warehouses, but since there was no such thing in the Wheeling area, they reached out to Gregg. “Mission Unpossible” was created and performed in 2013. 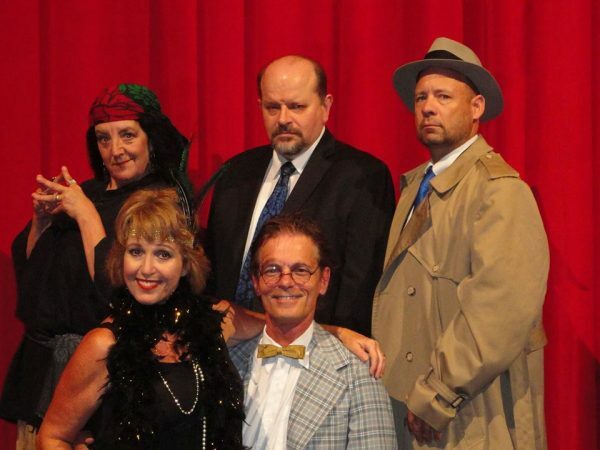 This evening at the Stifel Fine Arts Center on National Road near the Dimmeydale neighborhood, Mystery Theatre Unlimited will offer a one-time performance of that very first production, “Speakeasy, Die Hard,” a play set in the 1920s that features a Mafia Godfather, his girlfriend, and a few other characters that swirl around the activity and humor involved with organized crime. 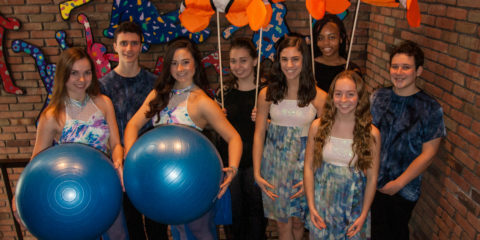 The 7 p.m. performance will feature the original cast, including Maxwell, Barton, Caro, Dee Gregg, Frank Wilson, and Michael Moran, and not only will attendees experience the show and a dinner catered by Ye Olde Alpha, but a wine tasting of three different vines also will take place during the evening. 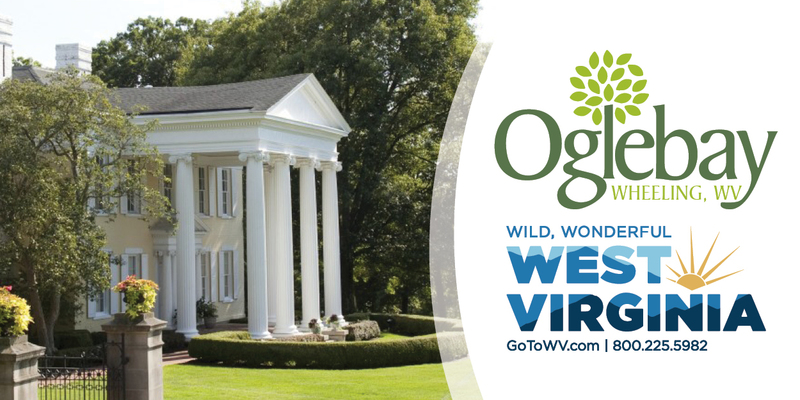 Reservations can be acquired by calling 304-242-7700, and additional information can be acquired by visiting the company’s Facebook event page. 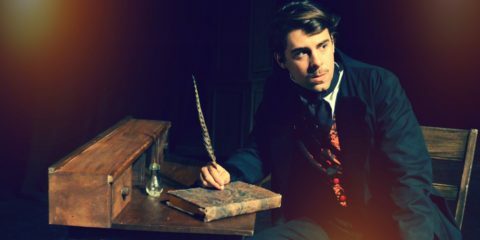 “The comedy in the shows is most important, but there is a mystery, and because it’s very interactive, the people who attend get to solve that mystery,” Maxwell said. “There are clues on the table, and at the beginning, the actors come out in-character, and they interact, and that’s the part of the show that is totally unscripted. The show is highly scripted, but not the very beginning, and that’s what really what separates us from similar murder mystery companies. 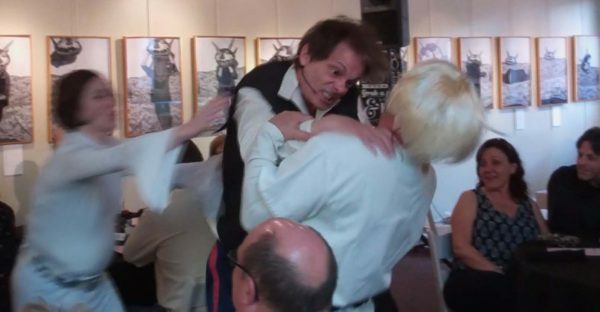 Mystery Theatre Unlimited had some fun earlier this year with a parody involving the Star Wars movies. Twenty years ago, however, the local folks had nothing to do with the content of the shows, and although it was exciting during the first few shows, the infatuation ended as Christmas 1996 approached. “During that time when we were working for that company, they did some crazy things like fly some of us to the other cities to fill in for someone who couldn’t be there,” Maxwell recalled. “That couldn’t have been very cost effective for that company, but we were happy to go; I know that. 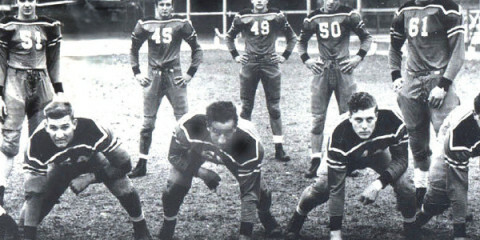 Burt Furioli, featured in this promo photo, joined the company soon after Butch Maxwell contacted him to assist with the writing of the plays. 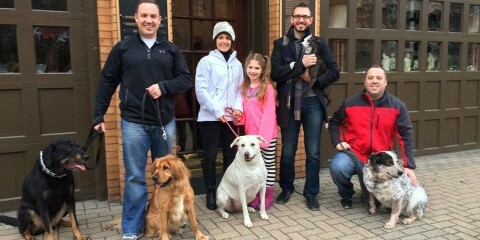 Furioli wasn’t involved in the very beginning but after Maxwell’s phone call to Connecticut, Butch’s next call was to his buddy Bert. “He and I had written some comedy shows before that,” he said. “That’s when Bert and I decided we could adapt a play that we had written for another performance into a Christmas show. So we had Santa Claus, the Easter Bunny, and the Tooth Fairy all gathered at the North Pole, and that’s when a murder took place. Since then, Maxwell has set a state record and established a new era of the arts in the Mountain State. 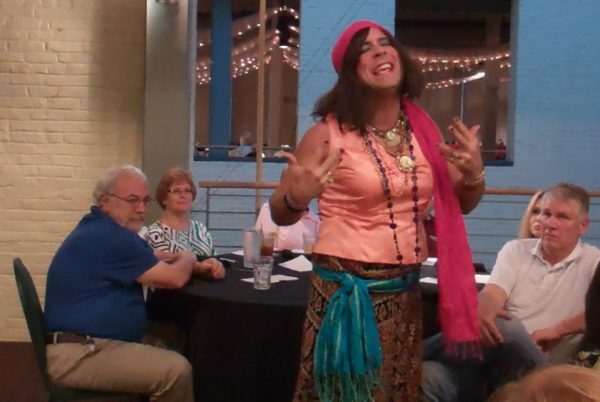 The theatre company performs in dining rooms throughout the Upper Ohio Valley. “I don’t think Butch would ever tell you this, but it is a fact; Butch is the most produced playwright in the history of theatre in the state of West Virginia. That’s a pretty big deal,” said Barton-Caro. “It doesn’t seem like 20 years have gone by since we started this, so I think it’s amazing,” Barton-Caro said. “I really thought it would last only a couple of years, and I didn’t know what would happen with the company after I decided to leave. That’s why, Maxwell admitted, he’s continued, and even though there’s no profit, he surrenders his rare free time to the writing, acting, and producing an average of three new shows per year, and this guy is willing to portray both male and female roles if necessary. Remember Jane Hathaway on the “Beverly Hillbillies”? The very first cast performed, “Speakeasy, Die Hard”in 1996, and will do so again this evening at Oglebay Institute’s Stifel Fine Arts Center. 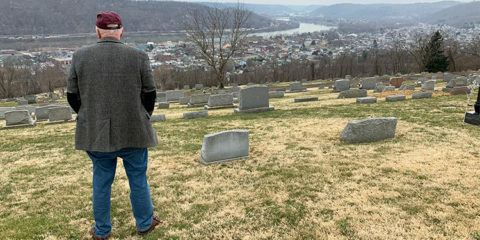 Maxwell, of course, is not finished just yet, and “Dead of State” is set to debut Sept. 28 at River City Restaurant on the corner of 14th and Main streets in downtown Wheeling. It’s a musical, and there’s a murder, of course, and tickets are $20 per person. “I get the chance to play the former First Lady, Hellary Quinton, and of course, she is running for president now against Donald Grump,” explained Barton-Caro. “And we promise that we will be making fun of both of them equally. 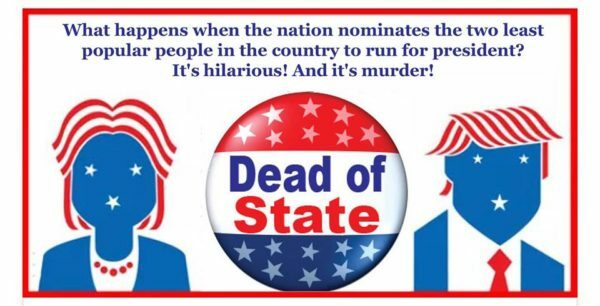 “Dead of State” debuts on Sept. 28 at River City Restaurant in downtown Wheeling. “Star Bores – Episode VI ½ : The Farce Awakens” was one of Mystery Theatre’s productions, and so were, “Coleslaw & Order,” “Slay Ride: Fright Christmas,” and, “Survivor on Killigan’s Island.” There have been more than 60 shows, and Maxwell has each of the scripts archived. So which one is his favorite? “My favorite show is always the one I am working at the time. I’m asked that question, so right now my favorite show is, ‘Dead of State,’” Maxwell said. “And it’s equally mean to both sides, and I am very eager to get this one out.